We can watch any film, anytime, anywhere and on any device. Very handy. But not very big. Which is exactly what your experience of film should be. 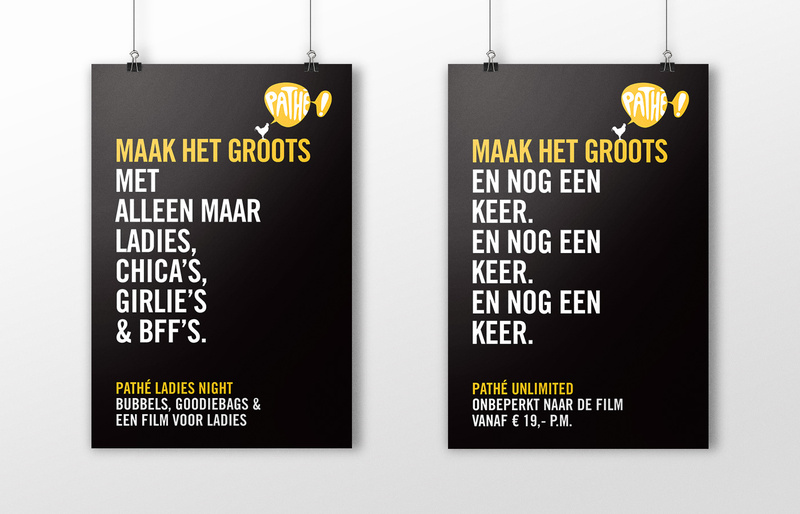 This campaign celebrates the added value of a Pathé ticket in the on-demand, always-on, binge-watch-while-you-group-chat world we’re so accustomed to. 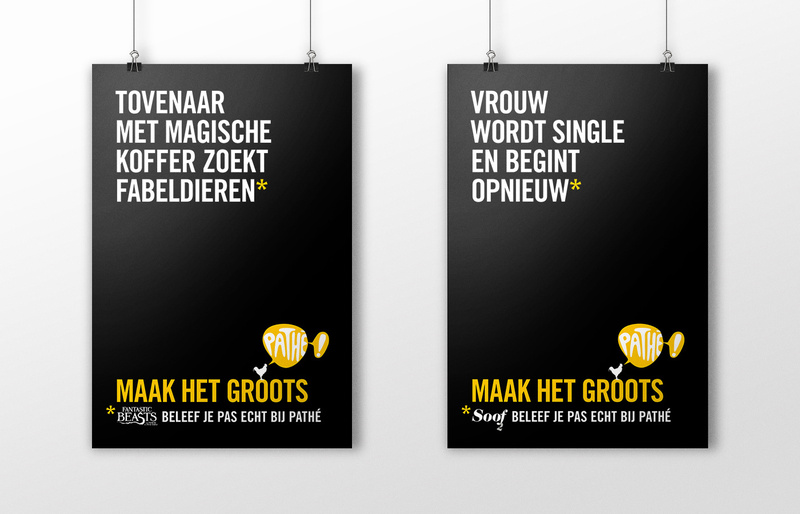 The film, that is shown in all Pathé theatres in The Netherlands, is accompanied by an outdoor, in-store and digital campaign launching the brand’s new credo: Maak het Groots (Make it Big). Because no film ever got better by being small.